Let's face it, flat tires happen and it's always at the worst possible time. 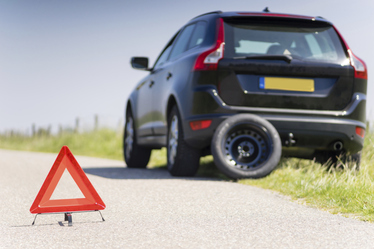 However, we offer 24 hour roadside assistance so you're never on your own. We will travel to you and bring a spare tire if you need one. Our highly skilled and professional drivers will have the tire changed for you before you can even blink. When using our services, we do all of the hard work for you. Safety is a big concern so we make sure we have all the necessary tools for the job including lights just incase you have a flat tire at night. We understand how valuable your time is and that is why we have the best response times in the Northern Virginia area. It doesn't matter if your vehicle is stuck in some parking lot or on the side of the road in Virginia's beautiful country side, we will be there for you.